On the 13th of March, 2018, a class of 99 attendees turned up for the EC201: Content Management E-Commerce Class at the Selangor Digital Creative Centre (SDCC) organised by the Selangor Information Technology and E-Commerce Council (SITEC). The first speaker and Coach for the session, Sunny Ooi of ClickAsia MY/SG, spoke about the consumer purchasing journey, which has evolved over the years. “Compared to traditional selling, online selling is able to cover every aspect of the customer purchase journey from end-to-end. This, if incorporated into traditional selling through the omnichannel model, can serve to complement offline sales,” noted Ooi, who also explained the revelation that is the Zero Moment of Truth, when potential consumers look up what they want to buy online. 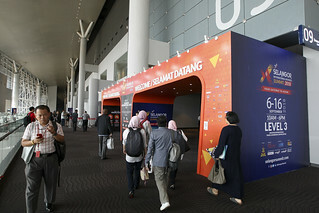 Ooi also discussed the differences between operating your own e-store and joining a marketplace in the Malaysian market. 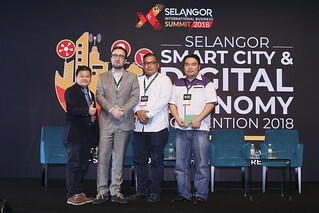 He noted that each had their own advantages, such as being able to promote your own brand through your own e-store, building a brand presence, versus being able to tap the resources of marketplaces to reach a wider crowd of potential customers. Then, Ooi spoke about the product life cycle, as well as providing background on product management and brand management. He advised attendees to master their product life cycles, noting those as vital information that can help a savvy e-merchant flourish. Aspects such as whether or not the suppliers and products are online-friendly, the size of the target audience, the competition, the number of suppliers, as well as knowing when to push the sales of the items were all covered under the product life cycle. Ooi then moved to content management, where he shared about the main processes of content management, namely the creation, management, publishing, and presentation of the content. He advised attendees to educate the consumer through the content, or to create a shopping experience. He also stressed the importance of standing out from similar content generators, noting that search engine optimisation is actually content-based. After that, David Foo, chief executive officer of URC E-Commerce (M) Sdn Bhd, took the stage to share his knowledge on optimising product listings. 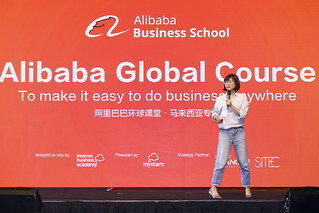 Citing his successful running of four accounts on the Alibaba platform as examples, he spoke to the audience on topics such as introducing your product or company. “Target your audience by anticipating their search terms, and including those in your keywords and metatags. By using relevant factors and using the right metatags and keywords, you will be better able to reach people looking to buy what you are selling,” noted Foo. He also noted the importance of providing clear and concise information when listing a product, whether it is on your own e-store or on a marketplace. Clear product images and point-form lists of product advantages make it easy for a potential buyer to know about your product, as the information is clear and easily digestible. Certification and company information has their place as well, as these help to generate trust in your company as well as your products. The basis of online selling, according to Foo, all boils down to trust. Once a company has lost the trust of its customer base, it is very difficult for that company to continue, considering the bad name it has garnered for itself in the industry, and among the target market. On the other hand, developing and maintaining a reputation as a trusted seller will see the customer base themselves promoting you through word-of-mouth to their friends and family.